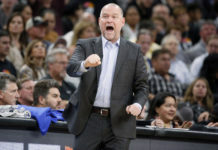 Despite 29 Points From Jamal Murray, the Nuggets fell to the Suns on Saturday, 82-81. With three of the four players selected by the Nuggets in the 2016 NBA draft playing significant minutes in summer league (Jamal Murray, Juancho Hernangomez and Petr Cornelie), it gave Nuggets fans a good glimpse into the future with an impressive showing in summer league. Murray showed poise, as he started off a bit sluggish in the beginning of summer league but overcame that with some solid outings, including his 29-point outbreak on Saturday against former backcourt mate Tyler Ulis. 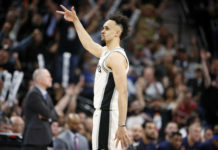 Murray’s 29 points was his third consecutive outing in which he scored 20 or more points, finishing 13-26 from the field. 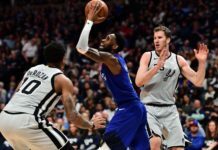 Murray showed off his game, with an array of three-point shooting, noteworthy no-look passes, astonishing finishes at the rim, heat-check worthy flurries of baskets, and even a full display of his versatility with him playing primarily the point guard position despite him being a shooting guard that will play alongside Mudiay throughout the year. The Nuggets lucked out and got themselves a good player. The future is bright. Petr Cornelie showed some promise. In the quarterfinal game against the Suns, Petr got it going early as he found the holes in the defense and attacked them. 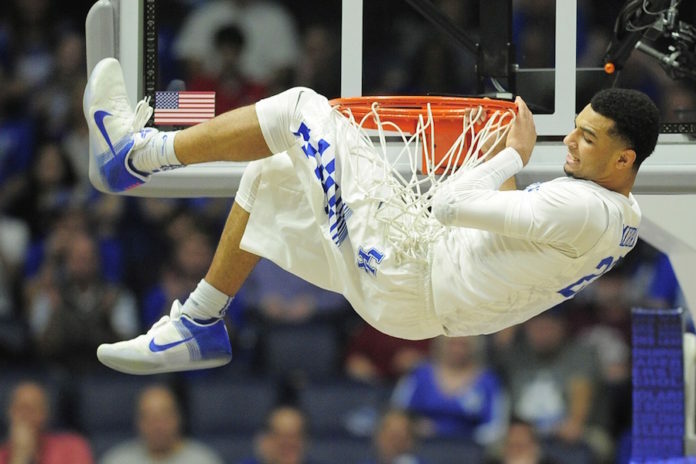 He finished with seven points, six rebounds and a few outstanding dunks. He played hard all game and demonstrated the qualities that Tim Connelly liked when he drafted him. The slender 6-foot-11 frenchman played with high intensity at all times, which allowed him to crash the boards at a high rate. The reason, though, that Connelly went in for Petr was his ability to shoot the ball. While it betrayed him at times throughout the tournament, there were signs of life on Saturday, as Cornelie had a few memorable plays on the pick and pop. Overall it was a good display for Petr and a great barometer going forward on things he will need to work on before heading over to the NBA. Juancho was fun. While all of the attention was focused on Emmanuel Mudiay, Gary Harris and Jamal Murray, Juancho flew under the radar going into Summer League, but he may have been the most impressive player coming out of Summer League. Juancho has struggled a bit with his offensive game and looks a bit outmatched at times with the speed of the game, but he performed well. The 6-foot-9 big man has a style that suits the NBA. In the quarterfinal game against the Sun,s he had another outstanding outing, as he finished with 10 points and 12 rebounds. He was excellent in pick and rolls throughout the tournament, attacked the rim exceptionally well and created a bunch of space with his ability to shoot the ball coming off of those rolls. Juancho definitely made the Nuggets’ decision to keep him overseas for a year much more difficult this past week.